Are You Turning Empathy On or Off? Have you ever been puzzled why one cause seems to rivet donors and spur an avalanche of giving while another, equally dire, seems to fall flat? Although there is much to be grateful for when it comes to people giving to good causes, such as that altruism is probably innate, and that our brain's reward center lights up when we give, what we expect as fundraisers is not always what we get. Neuroscience, in fact, has found that there is a dark side to our altruism. Sometimes we don't give to compelling causes, or we don't provide as much as we could. The problem seems to be most severe when we are asked to give to many people who are far away, even in the direst of circumstances. Or when a particular disaster is not massive enough or dramatic enough. Human beings often don't take action in the face of genocide on the other side of the globe, or help alleviate the grinding poverty that plagues a good part of the world's people. We may ignore that slow-moving flood in a developing country yet respond eagerly when an earthquake nearby kills hundreds of thousands of people. Research has revealed some surprising twists and blind spots in our altruistic behavior. Peter Singer, ethicist and author of The Life You Can Save, has explained several of them in his book on global poverty. Here are six ways Singer says we defeat our generous impulses. Research has shown that we are moved far more by the plight of a single, identifiable person than by that of several people, or a general statement of need. 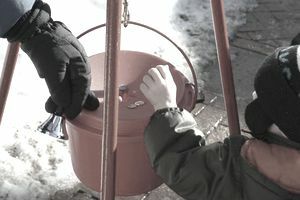 In one experiment, participants were given the opportunity to donate some of the money they were paid for their participation in the research to a charity that helps children both in the U.S. and around the world. One group received general information about the need, including statements such as "Food shortages in Malawi are affecting more than three million children." A second group was shown the photo of a young Malawian girl named Rokia and told that she was destitute and that their gift could change her life for the better. The group receiving information about Rokia gave significantly more than the group getting general and statistical information. When a third group got the general information, the photo, and information about Rokia, they gave more than the general information group, but not as much as the Rokia only group. The researchers found that even adding only one more child to the appeal lessened the donation amount. It turns out that we will spend far more to save an identifiable victim than we will pay to save a "statistical" life. We feel empathy when we hear the story of a particular person. Humans have evolved to care for those closest to them, so it is no surprise that we are not nearly as moved by a tragedy far away than by one that involves people we feel close to. Peter Singer points out that although Americans gave a generous $1.54 billion to help the victims of the Southeast Asia tsunami in 2004, that amount was less than a quarter of the $6.5 billion we gave the next year to help people affected by Hurricane Katrina. That is despite the vastness of the 220,000 tsunami deaths compared to 1600 deaths from the hurricane. Parochialism was easier to understand before modern communications. It is harder to swallow in an age of instant images from around the world. Its persistence, despite having the world in our living rooms, speaks to the strength of this human trait. We are all quickly overwhelmed by the extent of need. When researchers told study participants that several thousand people in a Rwandan refugee camp were at risk and asked them to send aid that would save the lives of 1500 of them, their willingness to give was related to the proportion of people they could save. The smaller the percentage, the less willing people were to help. For instance, they were more willing if they could save 1500 out of 5000, than if they could save 1500 out of 10,000 people. Psychologists term this "futility thinking," and many people reach the futility threshold reasonably quickly. Often called the "bystander effect," this human trait allows us to assume that someone else will do what needs to be done. Researchers in one experiment found that 70 percent of participants who are alone and heard sounds of distress from another person in an adjoining room responded and helped. When two participants were together, the response rate to the sounds of pain fell significantly, in one case to a mere seven percent. We often let ourselves "off the hook" if we think that others will pick up the slack. People seem to be incredibly fine-tuned to anything that looks unfair. Experiments have found that humans will go against their best interests if the situation violates their sense of fairness. For instance, two players in an experimental game are told that one of them will receive a sum of money such as $10 and must divide it with the second player. If the second person refuses the offer, then neither player gets anything. The first person, or the offerer, decides how much of the money he will offer to the receiver. Pure self-interest would dictate that the giver would offer the smallest possible amount, and the receiver would agree to that, since getting something is better than nothing. However, if the receiver feels that the amount offered is "unfair," he or she is likely to refuse it, ensuring that no one gets anything. The deals that work out best are the ones where the money is divided equally, appealing to that sense of fairness. In the case of charitable giving, a donor's altruism may be depressed if he feels that other people are not doing their share. It doesn't seem fair to give, say, 10 percent of your income to charity if others are giving less or nothing. That's why some fundraisers now provide peer examples of giving. If you know your neighbor gave $50, you might be motivated to give as much or more. Also, giving circles or community giving may tap into this "fairness" quotient. The reason for this behavior on the part of the money group might be that once something can be bought, the need for communitarian cooperation is lessened. In the experiment, even the suggestion of money produced individualistic behavior rather than a feeling of community. help donors understand that their gift is not just a "drop in the bucket"
offer ways to help that don't involve just giving money. Most important, Singer says, is to create a culture of giving. Letting other people know about one's personal charity can help others open their hearts and wallets. Organizations such as Bolder Giving can set new norms of giving. Giving Circles can create a community of givers who spur one another on. Resetting the "default" on our systems could also help. Singer cites organ donor programs in some countries that assume you will donate unless you opt out, rather than depending on donors to opt-in. Corporations that encourage employee giving could do something similar, as well as provide volunteer programs that allow employees to use work time to give back to the community. Creating a culture of giving, Singer says, can go a long way toward encouraging human behavior that rises above its evolutionary patterns and uses reason as well as emotion to make ethical decisions about whom we will help and how. Peter Singer, The Life You Can Save, especially chapters 4 and 5. Paul Slovic, "If I look at the mass I will never act": Psychic numbing and genocide.